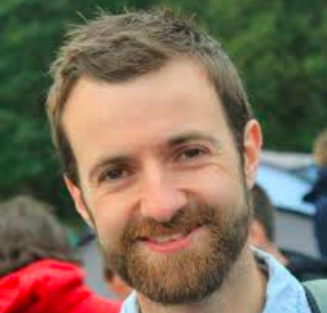 Having completed his BA, MSc and DPhil all in Mathematics at the University of Oxford, Kit became a junior research fellow at Christchurch College, Oxford. He is a mathematical biologist and was based in the Mathematics department at the university. He is now a Senior Lecturer in Mathematics at the University of Bath. His academic interests include modelling the patterns on birds eggs, modelling cell migration in early embryogenesis and modelling pathogenicity in the trypanosome parasite which causes sleeping sickness. He is also a keen populariser of mathematics. He has worked on a variety of outreach projects including Oxford University’s mathematics outreach group M3 with professor Marcus Du Sautoy. He has opened regional science festivals, written popular maths articles for the Times and is currently the mathematical consultant on the maths/comedy fusion programme “Dara O’Briain’s school of hard sums”. Kit is also a senior leader in the Columbus Fellowship outdoor activities charity based in Greater Manchester. He has worked in conjunction with the charity over the last 10 years to provide a range of outdoor activities to children based in the Greater Manchester region.